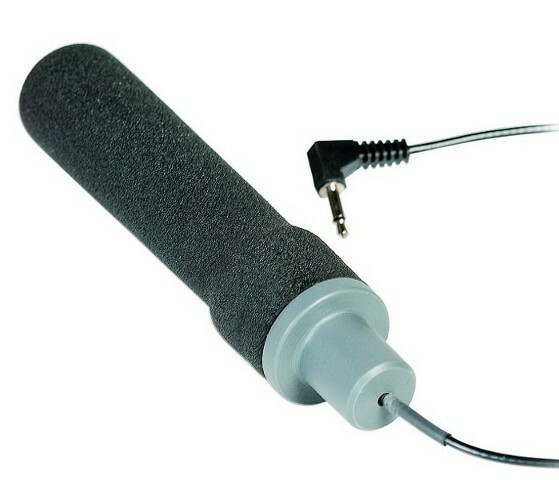 The grasp switch can be activated by squeezing or pinching the foam tube. The user must be able to release the grip in approximately 2 seconds to prevent switch latching. Length: 7.62cm. Diameter: 3.5 cm. Cómo controlar una tablet con la cabeza: enPathia.